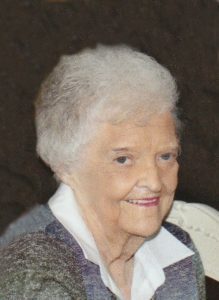 She professed faith in Christ and was a member of Sunny Hill Church of Christ. Oleen was a retired food service employee at Taylor Regional Hospital and was a former co-owner of the first pizza parlor, Ola Mario’s Pizza, in the late 1960s. She united in marriage to Carl R. Hill November 26, 1946 and he preceded her in death January 21, 1992. Oleen enjoyed visiting, laughing and pulling pranks with family and friends. She is survived by one daughter and one son: Carlene Newton and husband, Paul of Campbellsville and Clyde Hill and wife, Lisa of Bowling Green; four grandchildren: Justin Newton and wife, Lindsay of Louisville, Austin Newton and wife, Amy of Berea, Ashley Hill Crowe and husband, Adam and Paige Hill Orlando and husband, Jason of Bowling Green; nine great-grandchildren; nieces and nephews: Larry Sensing of Bowling Green, Barbara Sawyer and Sue Riddle of Albany; special friends: Margaret Gadberry, Pauline McGinnis, Ruby English and Billy Price of Campbellsville and many other relatives and friends. Oleen was also preceded in death by three sisters: Kemel Work, Hazel Sensing and Vicie Mae Garner.